Food Notebook: Beer in my cheesecake? 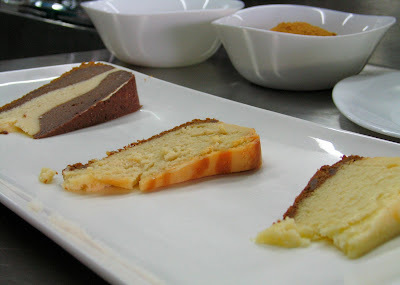 Yup, that's what I thought when I first heard about this cheesecake by Food Lab. I believe I am a purist when it comes to cheesecakes, choosing plain old New York cheesecake over flavored ones. 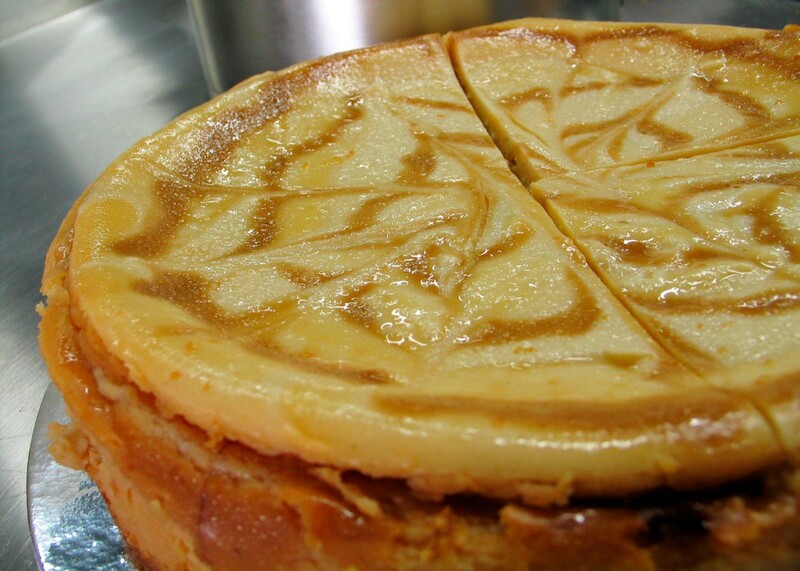 In fact, I am quite smitten by Food Lab's New York cheesecake myself. 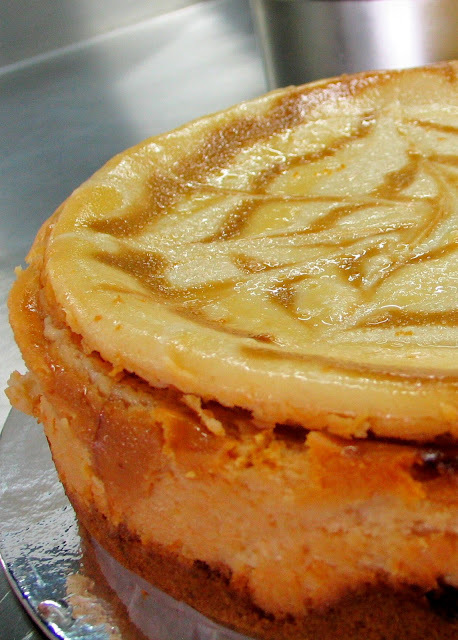 It is creamy without being too much, and it is not overly sweet, which is quite a feat for any cheesecake maker. I must say it's one of my favorites. But that doesn't mean I don't enjoy the occasional Triple Decker cheesecake (Coffee Bean and Tea Leaf) or Saffron and Date cheesecake (Don Limone) once in a while. 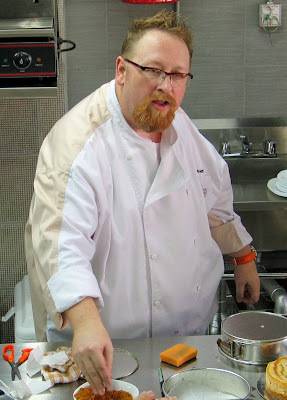 Meet Chef Kevin Mize of Food Lab. Now there's a guy that specializes in the unusual when it comes to cheesecake flavors. And dark lager is just the tip of the ice berg. With flavors such as wasabi ginger and chocolate sili labuyo churning out of their kitchen, it seems like no less than imagination is the limit for Food Lab. 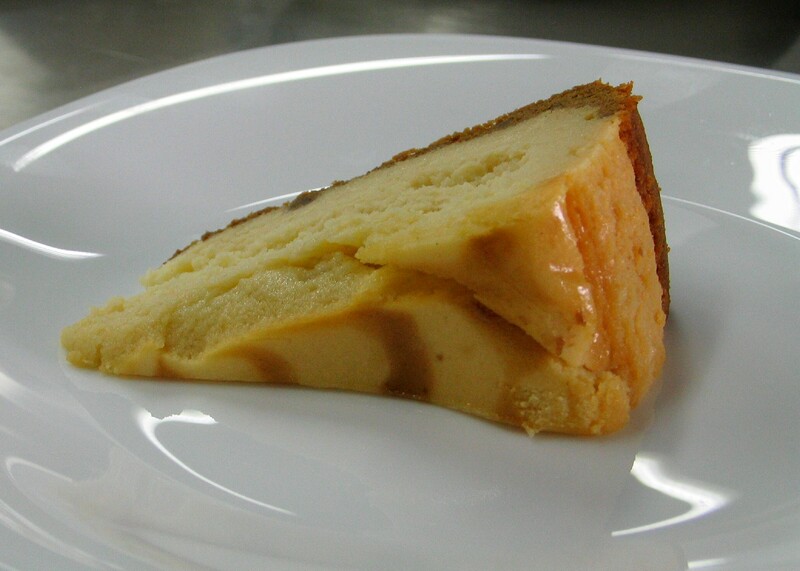 Another best-seller among their "quirky" cheesecakes is the peanut butter and chocolate. Can you imagine- cream cheese, peanut butter, and chocolate all rolled into one heart-stopping dessert? The thing about reading about how something tastes like though is that you never really know what it tastes like even if you have read about it a million times. So if you are curious how these strange-sounding flavors work, head on over to Midnight Mercato. Chef Kevin is there every Friday and Saturday from 10PM-3AM offering free samples of his cheesecakes.